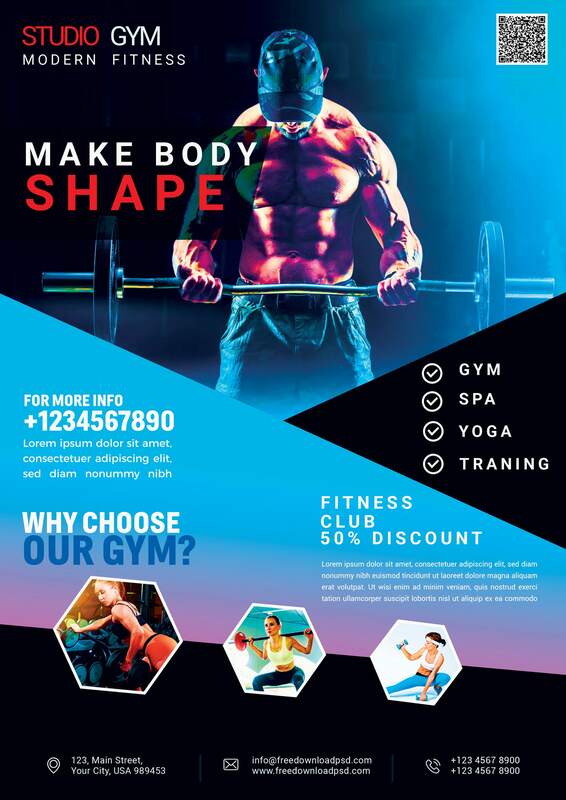 You can use this Fitness Gym Flyer PSD Templates in your personal and commercial projects. If you are using this file please give some credits to freeDownloadPSD.com. hope you guys enjoy it and I hope this will help you benefit your project as well. Do not forget to Share if you found this helpful. Images in this Flyer are for DISPLAY ONLY. You must replace them with your own products or models. If you want this hero image you can Buy from here.